If you haven’t been in a coma during the past six months, then you most definitely have heard of Pinterest. And, if you are marketer, you better have either (a) integrated Pinterest into your social marketing strategy or (b) had serious discussions about how you can integrate it. Will Pinterest continue to grow at its current pace or will it be the latest social media flavor of the month? Although I expect the former, who can really know? What is clear to me, however, is given the overwhelmingly positive response from women, Pinterest is providing something of real value, something that women adore (in the U.S., the majority of Pinterest users are women; however, in some other countries, Pinterest is skewing more toward men). The fact is that women love browsing Pinterest. It’s inspiring, hopeful, positive, beautiful, helpful, encouraging, and pleasing. It’s not simply a means to an end for finding something – it’s an enjoyable journey. It’s the digital equivalent of a woman flipping through her favorite magazine while taking a relaxing, warm bath. If you haven’t spent much time on Pinterest, try searching for ‘chocolate cupcake’ on Google and then do the same thing on Pinterest. You’ll see what I’m talking about. As marketers, we need to understand what it means for us. How does this ‘Pintrification of America’ impact our ability to build awareness, engage, and interact with our target consumers. How do we stay relevant and interesting in this pintrified world? Yes, it’s easy to pin a photo of a product, but we need to be more intentional than that. We have to think in terms of what’s going to be “pinteresting” to our audience? What’s going to grab their attention? What are they going to think is ‘pinworthy’? 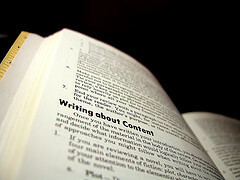 What worked for your catalogs, publications, and website may not be “pinteresting” enough. A straight-on product shot will seem boring and bland. How-to’s and helpful tips don’t just need to be educational, they need to be visually interesting. So, how has the rise of Pinterest impacted your marketing efforts? 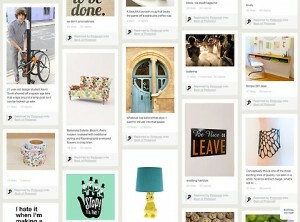 What are you doing to stay relevant and interesting (pinteresting) in this Pintrified world? As such, marketers are starting to awaken to the promise of Facebook – not only as a social media platform but also as a social marketing tool. Companies increasingly are setting up Facebook Fan Pages and focusing on getting users to ‘like them’. However, in order to leverage the power of Facebook as a marketing tool, you need to understand the process that determines whether posts from your Facebook Page will even reach your fans. For most Facebook users, the news feed is the lifeline to their network – it contains all of the activities of their friends and pages they have liked. A user has two choices for her news feed: ‘Top News’ and ‘Most Recent’. Most Recent is a chronological order of all activity and Top News (the default) shows the content Facebook believes would be most interesting to the user. One of Facebook’s challenges is continuing to provide a useful and relevant experience for its users as the total number of users increases, each person’s individual network expands, and the number of activities grows. For the average Facebook user, a news feed with all activities listed can become overwhelming and crowded with uninteresting content. Don’t worry, you don’t need to dust off your old high school or college math text books. No complex computations are necessary. 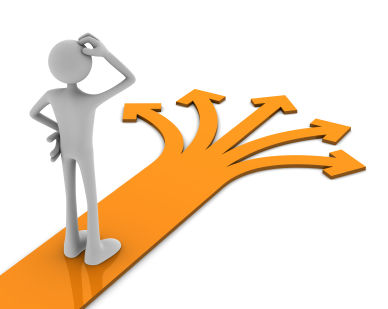 A brief overview of each component is all you need to get started on the right path. Affinity score attempts to show the strength of interaction between the user and another Facebook entity (user, brand, etc.). If you click on posts from your Mom every day, comment on her wall, like her updates but never interact with the 1st grade teacher you friended, the affinity with your Mom will be much greater than with your 1st grade teacher. Affinity is a one-way score: I may have a different affinity score with you than you do with me. Weight pertains to the type of activity and it is believed that certain activities are assigned more weights than others (e.g. a comment may be worth more than a like). The more engaged someone has to be to interact, the higher the weight is likely to be. Time decay depicts that new content is going to be given preferential treatment over older content. Typically, as a post ages, it becomes less relevant and so it will lose EdgeRank. As with most social media, people want new and fresh content. From a marketing perspective, the key takeaway is a simple ‘post it and hope they will read it’ approach won’t work. You have be more planned than that. As with any other marketing tool, it’s all about engagement. It’s thinking about what type of content will most likely generate a positive reaction – which content will your audience find interesting. Which content will generate the type of response that keeps you in someone’s Top News news feed? Understanding how EdgeRank impacts your ability to stay connected with your fans is the first step to effectively using Facebook as a critical marketing tool for your organization. While in the car the other day, I was listening to a morning drive radio program and I was struck by how many people were calling the station to relay relatively embarrassing stories. 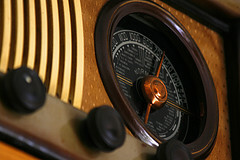 As I thought more about it, I realized how good radio programs are at starting conversations. Something with which many companies and brands struggle. For those radio programs that rely on listener interaction, stimulating conversation is a necessary part of their program. To be successful, they have to motivate listeners to call in to recount stories which will not only interest other listeners but further stoke the discussion. Picking up a phone and dialing a radio station isn’t a herculean effort, but relatively speaking, especially in this time-taxed age, it does require some effort (it’s more of a time commitment than clicking on a button to re-tweet or forward an email). Subject Matter. Yes, this is an obvious one, but more companies than you think just appear to ‘phone it in’ (love the puns). There is a lot of competition for people’s attention so you have to select subjects that your audience is going to be interested in – not ones that only serve your company/brand. It takes work. It takes time. This usually means thinking beyond your product or service and really focusing on the customer. Need to Ask. Don’t forget to actually ask your audience to participate in the conversation. This is equivalent of the radio station announcing their phone number and asking people what they think. You’d be surprised how many more contribute to the discussion when you explicitly ask (we’ve tested this). How to Ask. The way you phrase the question can have a significant impact on the response. Sometimes you want to ask a very open-ended question and sometimes you will want it to be very specific. It really depends on the subject. Over time, you will learn the best approach for the type of question and your audience. Listen and Learn. In most situations, radios programs are just asking the questions for the entertainment value. But as marketers, we can learn extremely valuable information regarding the motivations, interests, frustrations, etc. of our target audiences from those conversations. So turn on the radio and let the old dogs teach us social marketers a new thing or two about social marketing. How would you respond if you called a company’s customer service department and the agent told you to send an email to another customer service group and someone should be able to help you out? Â Pretty frustrated, right? Â Well, you see that type of response frequently by companies on their social networking sites. It happens because sites like Facebook and Twitter are often under the domain of an organization’s marketing or public relations department and there isn’t sufficient coordination with the customer support group. Â The problem is that your customers have and willÂ increasinglyÂ turn to websites like Twitter or Facebook to airÂ grievancesÂ and seek resolution. Your customers don’t care which department is responsible for “social media oversight” or yourÂ organizationalÂ structure. Â When they tweet you or post a comment on your Facebook page, they expect the same type of results (if not better and faster) as if they picked-up the phone and dialed your phone center (or emailed or contacted you via online chat). Given the public nature of social websites, prompt and effective customer service on Facebook, Twitter and the like is extremely important. Â Not only should you want to take care of your customer, but because your response is seen by prospects, other customers, vendors, and partners, it also impacts your brand. Understand that even if you don’t have a Twitter profile or Facebook fan page for your company, your customers will still voice complaints about your organization on those sites and you need to be prepared to react. Develop a process to handle customer service issues that are communicated via sites like Facebook and Twitter. Â Include all relevant groups within your organization and make sure that you treat the posted complaint like an email, phone call, or chat – in others words, be proactive in contacting the person who originated the issue and be ready to help them. Have social monitoring in place so that you can respond quickly to issues. Â If you are still developing your process, you can use social monitoring to get a sense of how many issues you might encounter on a daily or weekly basis. Don’t forget that social media time (especially Twitter time) elapses at a much quicker pace. Â Just like 1 human year equals 7 dog years, 1 real world hour equals something more like 7 twitter hours. Â Responding in 48 hours isn’t seen as being prompt in the social media realm. Be strategic about when you communicate publicly and privately. Â Not all communication with the customer needs to happen via public comments. Â The initial contact should be public so that others are seeing you are being responsive but often the follow-up (getting specifics, etc.) is better done via email, phone calls, or direct messaging. Even though we live in a digital world, sometimes the best way to diffuse a situation is by talking the disgruntled customer over the phone. Â The extra effort can go a long way and is usually appreciated by the customer. Make sure there is some process to provide a summary report of complaints and issues back through the organization. 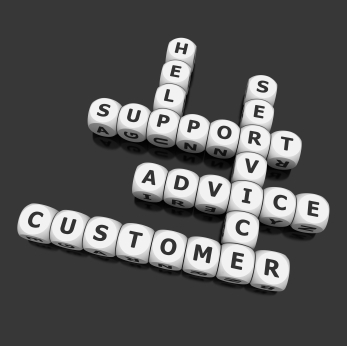 The best way to handle customer problems is to prevent them in the first place and complaints and reported issues should be valuable feedback to sales, marketing,Â engineering, research and development and productÂ development. Be transparent! Â Don’t, and I mean never, try to diffuse a situation or defend your company through a response where you pretend or give the allusion that you are just another customer or unbiased community member. Don’t think that only ‘big’ companies need to worry about customer support on the social media sites. Â People use the web do research on all types of companies (big and small, national and local). Obviously, don’t forget that anything you post publicly can be viewed by everyone. Â Think about how your response will be perceived by others – don’t be dismissive or defensive. Is there anything that I missed? Â What suggestions do you have for companies to be successful in addressing customer service issues via websites Twitter and Facebook? You’ll hear companies tout the number of Facebook fans, Twitter followers or email subscribers they have, but those numbers don’t mean much. Â Sure, everything else being equal, you would rather have more fans than fewer. Â What is really important, however, is how engaged those fans, followers, and subscribers are. My wife has an address book that she has kept for as long as I can remember. Â She has hundreds of names, but many of the people listed are ones whom we have lost touch with. Â We don’t know what is going on in their lives and we wouldn’t be invited to a birthday party, wedding, or graduation party they hosted. 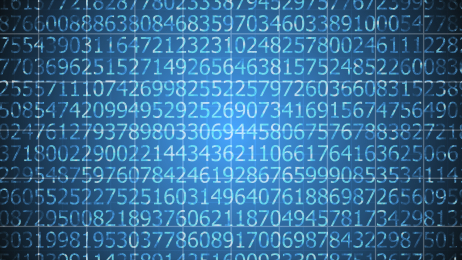 Â In fact, a large percentage of addresses and phone numbers probably aren’t valid anymore. Â We certainly can’t count everyone listed in that book as a friend, even if their information is still current. The same holds true with your online marketing lists. Â People may have signed-up because of a contest, by mistake, or were once interested in your product. Â The reality is a significant portion of many companies’ customer lists are disengaged. Â It happens – people lose interest, move on. So instead of focusing on how big your list is, focus on how many people you can really get engaged with your company, brand, service, or product. Â That is the number that really matters. I can handleÂ email subscribers in the same was as my direct mail list.Â Direct mailersÂ sometimes have a difficult time understanding the repercussions of emailing to subscribers too frequently or to those who didn’t provide clear permission.Â Junk mail delivered by the United States Post Office, at worst, ends-up in the recycling bin, while unwanted email triggers spam complaints which in turnÂ tarnishes your email reputation and makes it more difficult to get your communications to those who really want it.Â Just because it only costs fractions of a penny to send an email to an email address doesn’t mean that you should. I’veÂ implemented XYZ analytics application so I have done all that I need.Â Â Implementing a service like Omniture Site Catalyst or Google Analytics is a great start, but it is just a start.Â Â Companies need to ensure thatÂ they have trained staff dedicated to analyzing the information provided by tools like Site Catalyst.Â These applications have many wonderful reports but the ‘canned’ reports won’t tell you everything in you need (often they only provide a small portion), and youÂ have toÂ have skilled people focused on analyzing the data in order toÂ gain the insights needed to improve results. SEO is free – I can just have someone already on staff handle it.Â There are companies that handle search engine optimization in-house and are very successful.Â But those companies will be the first toÂ acknowledge that it’s not free.Â SEO is still such an art and science that you need to dedicate real resourcesÂ to truly understandÂ how to succeed.Â Also,Â becauseÂ the rules are continually evolving, aÂ considerable effort needs to be made toÂ stay current and that takes time and commitment.Â Companies who think they can buy aÂ book and task someone without search marketing experience to handle SEO in her ‘spare time’ soonÂ discover that approach is a recipe for failure. I control the conversation.Â Â Companies can foster, facilitate, participate, and even impact the conversation butÂ they can’t control what is being said about their organization.Â Customers are having conversations about organizations and their products and services on Facebook, Twitter, You Tube, blogs, Amazon (product reviews), etc.Â There is nothing that a company do to stop it and attempts to only backfire.Â Organizations must stop worrying about control and learn how to participate. What Internet marketing myths would you add?